To play a bad guy in a Hollywood movie, you’ll probably need a Russian accent – however, it’s not as easy as it looks! We rate and slate your favorite actors’ best (and worst) efforts. Western actors have been trying to perfect the villainous Russian accents for as long as Hollywood has cast the stereotypical Russian bad guy - and there have been mixed results. 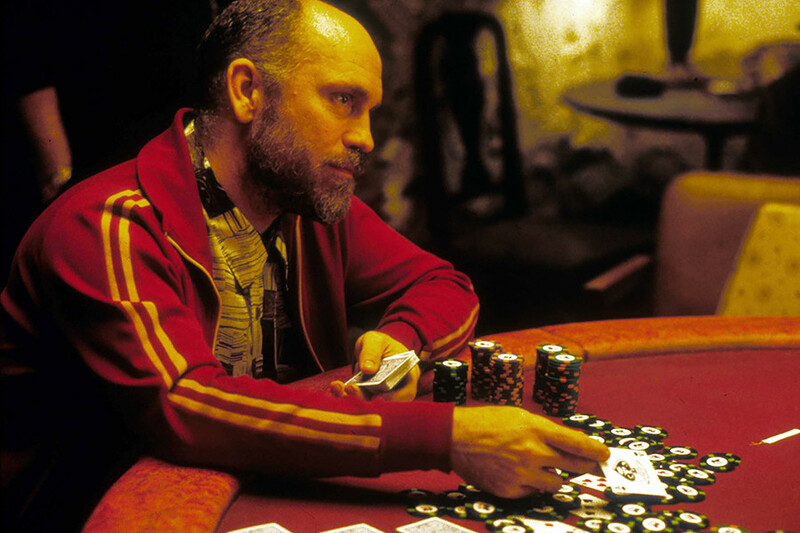 So which actors successfully exuded the aura of a fearsome Russian? Let’s find out. 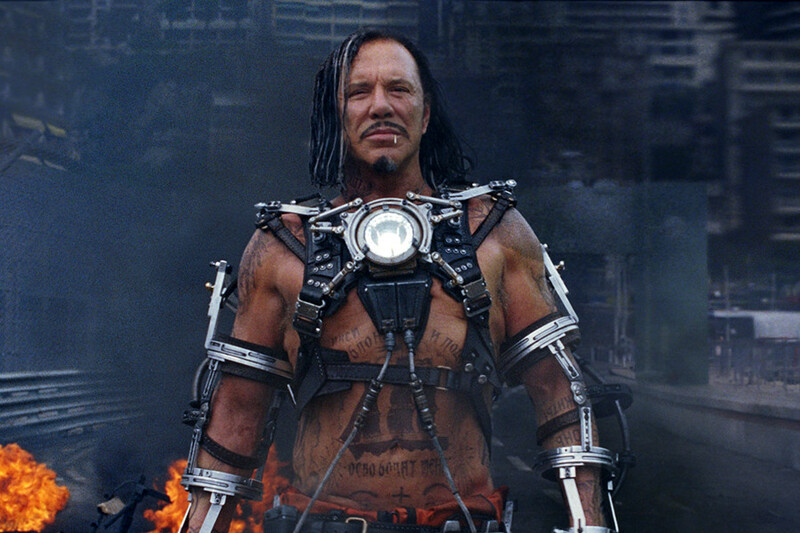 It takes a special actor to outdo Robert Downey Jr. in his own film, but Micky Rourke’s performance as Russian supervillain Ivan Vanko in Iron Man 2 is pretty epic. The veteran American hardman actually spent time in a Russian prison to prepare for the role, and his work clearly paid off, accent-wise: Ivan Vanko’s calm, sinister, and omnipresent persona is not only convincingly villainous, it’s also convincingly Russian. If you didn’t shudder when he whispers down the phone to Downey Jr.’s Tony Stark, “What your family did to me over 40 years, I will do to you in 40 minutes,” then you’re tougher than I am. However, the only critique that can be given to Micky Rourke here is that his accent sounds somewhat less credible once he actually starts speaking in Russian. Not that I’d tell him that to his face. Much like Rourke, the Danish superstar went to great lengths to prepare for his role as gangster Nikolai Luzhov in mafia thriller Eastern Promises, spending a month prior to filming unaccompanied in Siberia to absorb the local accent. The result was an effortlessly calm, collected villain persona with a spot-on accent. Mortensen really nails it here, from skipping random articles (“you might want to leave room”) to the hard “h”; you’d nearly swear he read our guide on how to get a kickass Russian accent. 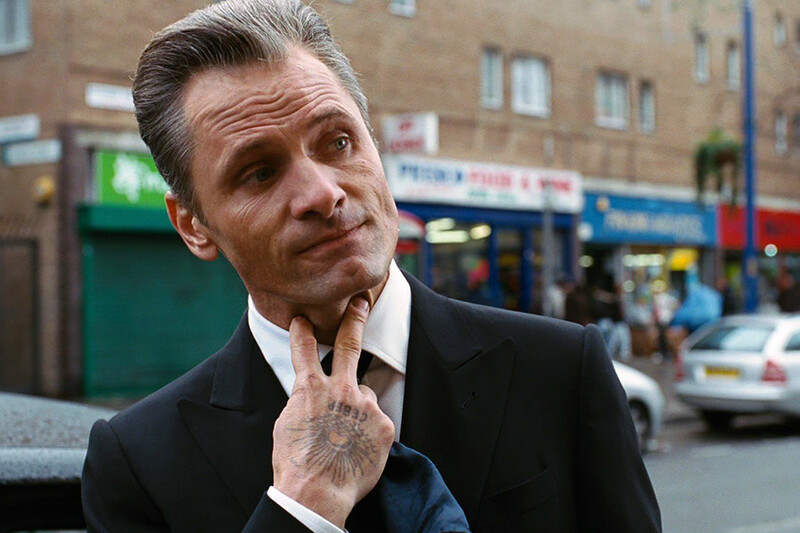 Mortensen really looked the part too, as he visited a Russian criminologist to get himself decked out in mafia tattoos – the look was apparently so realistic that he silenced terrified diners upon entering a Russian restaurant in London. Not bad for a foreigner. 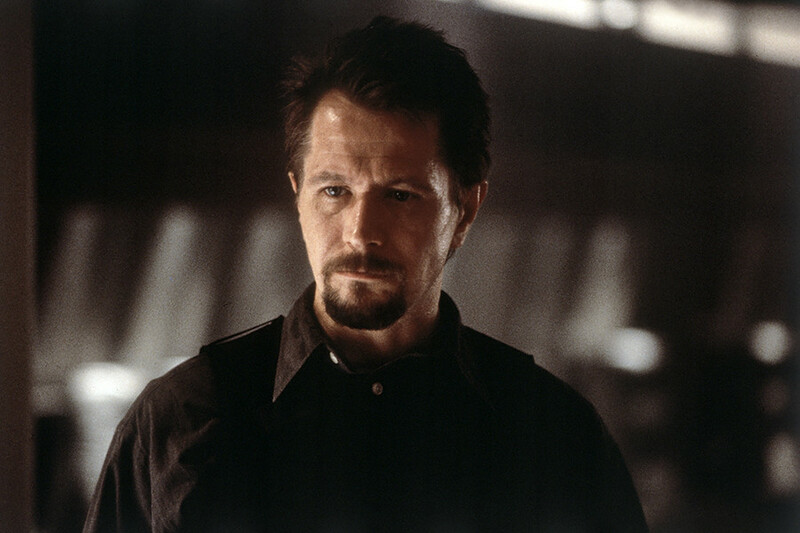 In this very nineties throwback movie, Gary Oldman was tasked with playing just your average Russian-speaking Kazakh communist plane hijacker. To be fair, the accent wasn’t bad at all, opting for a more deceptively softly spoken, slippery demeanor than the usual Russian villain. However, there’s just something ever so slightly off about the whole thing – director Wolfgang Petersen claimed that he told Oldman to be “as menacing as possible,” yet something about him just seems, well, too nice. Why would a Russian villain ever smile that much? Does he not know that Russians don’t smile? Still, not a bad effort, phonetics-wise. With any luck, Tom Hardy’s recent release will be a sign that Hollywood directors are starting to care more about how well Russian accents come out in their films. We all know about Hardy’s chameleon-like versatility, and his performance in this film about the Stalin-era purges is no exception. The Russian accent is not flawless, coming across a little nasal and overdone at times, but he more than makes up for it with a calm, ominous persona that a real Russian army general would strive for. 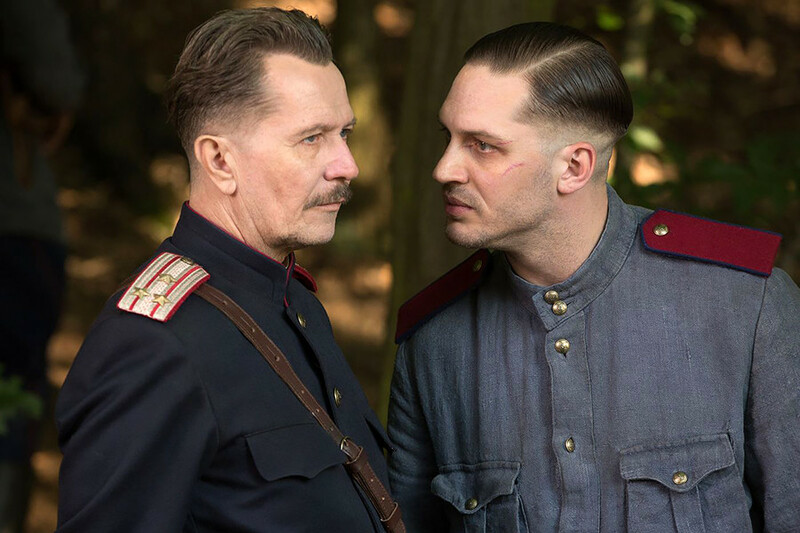 Alongside co-star Gary Oldman, Child 44 is, at the very least, free of cringey Russian accents. However, having received only 26 percent on Rotten Tomatoes, it’s unlikely to change the Russian accent game in movies too much. We commend the effort nonetheless. Australian superstar Cate Blanchett doesn’t seem an obvious choice to play Eastern Ukrainian Soviet spy Irina Spalko; Indeed, there is a definite hint of British in the actress’s otherwise-convincing lines. 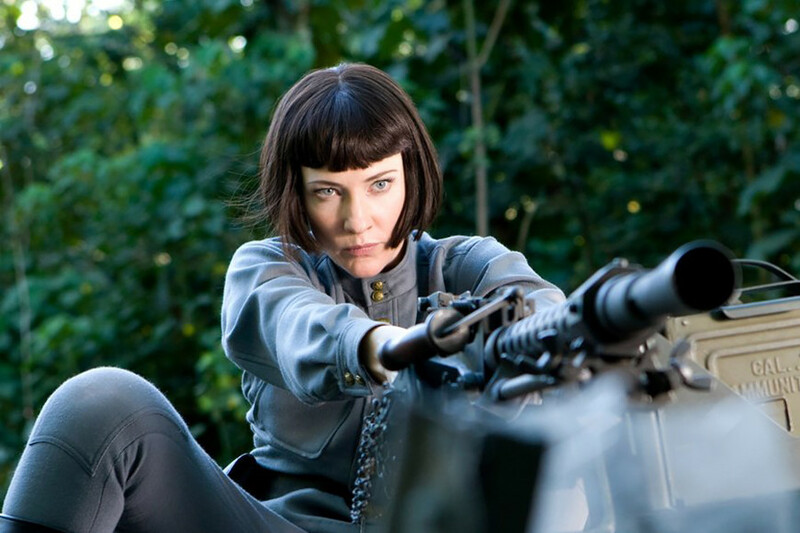 However, Blanchett makes our “good” list more for her acting than anything else, as her seductive spy persona could pass for a confident Russian woman with some ease – when told by Indiana Jones to “Be careful, you might get everything you wish for,” she responds by telling him “I usually do.” Smooth. This fairly forgettable submarine-based drama is probably best remembered as a buffet of ridiculous Russian accents. 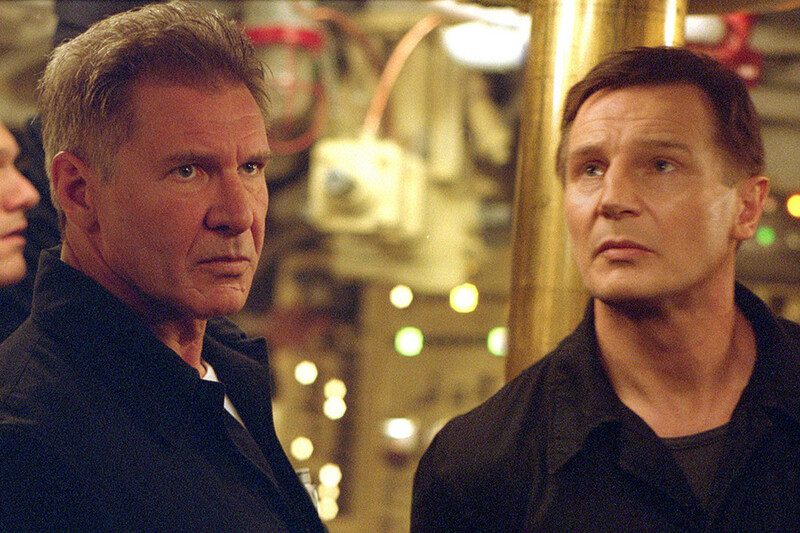 To be honest, if you started watching K-19 halfway through, you’d be entirely forgiven for assuming that Harrison Ford’s character Captain Alexei Vostrikov is Scottish. I don’t even know where to begin – the non-rolled “r”s? Pronouncing his “i”s exactly the way you would in English? At best, it’s a woolly attempt at a Russian accent. Liam Neeson, on the other hand, allegedly decided he could no longer be bothered with the Russian accent about halfway through shooting, and just switched back to his Irish brogue. Good effort, lads. To be fair to Robin Williams, it wasn’t for a lack of effort that he’s been put on our “bad” list: the renowned method actor is said to have learned Russian for his role as a Soviet circus musician who defected to America. On a side note, he is also alleged to have learned to play the saxophone just for one scene. Say what you want about him, but you can’t knock the late actor’s hustle. As much as we would love for him to be on the “good” list, his Russian accent is actually just quite bad. Everything about it is so high-pitched and over the top, and let’s be honest, a real Russian would never be that jumpy. It was also probably not the directing decision of the century to have Williams do a Russian-language scene with a real Russian actor – hopefully it’s not too much of a spoiler to say he gets shown up quite badly. This is also an incredibly cheesy scene where the cast starts reciting the Declaration of Independence in a New York diner. 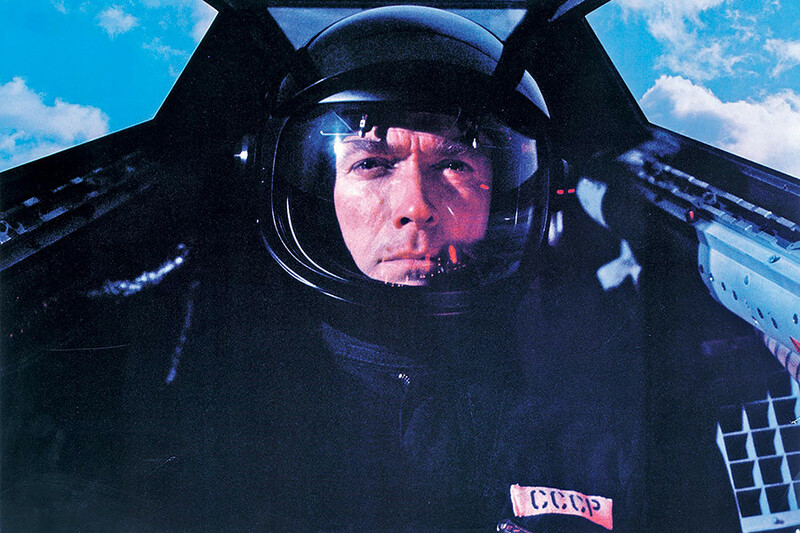 Undoubtedly one of the lesser-known titles on Clint Eastwood’s catalogue, this spy drama, once described by film critic Vincent Canby as “James Bond without the girls and action,” managed to muster up one particular quote in Eastwood’s character Major Mitchell Grant’s line “you must think in Russian.” Ironically, this line actually comes out in a thick German accent. In fact, for a character supposed to resemble a threatening KGB infiltrator, Grant instead comes across as a decidedly weedy-looking chap with a definite mad scientist vibe about him. It’s all quite confusing, really. Maybe stick to the Westerns, Clint. 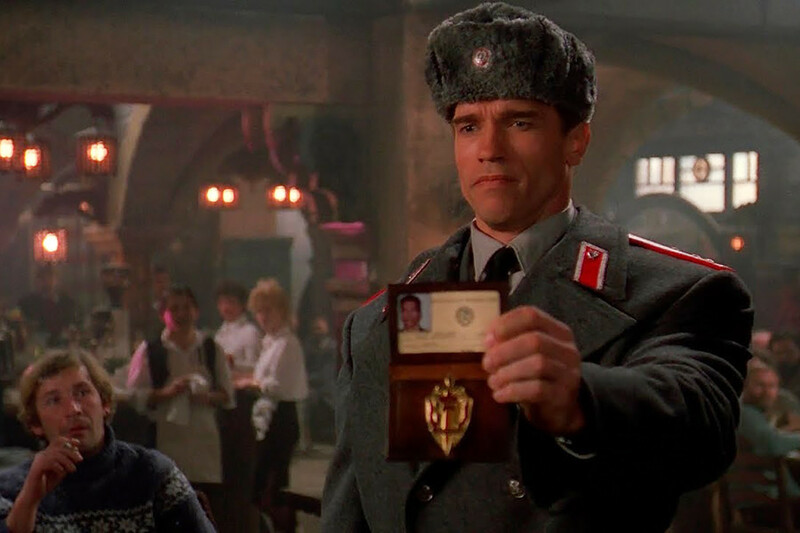 Red Heat actually ended up making a loss at the box office, with Schwarzenegger’s efforts probably doing little to bolster the film’s reception. It’s not all doom and gloom, however, as his infamous Russian accent has since acquired cult stardom for its abrupt and monotone hilarity. 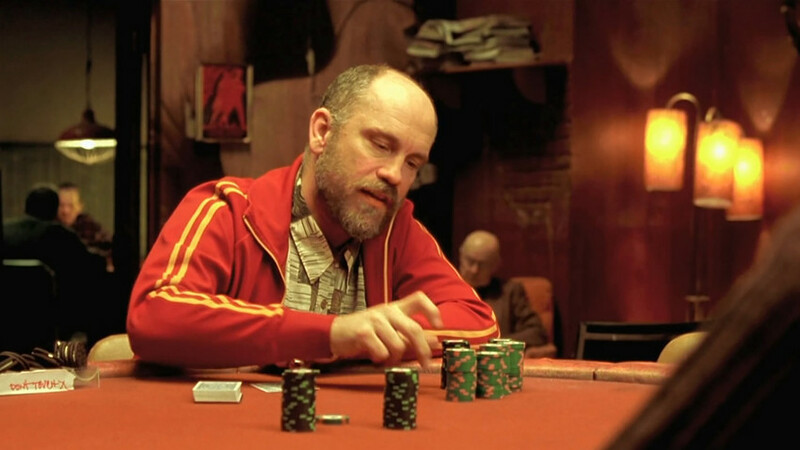 With every exclamation of “a-kyey” (instead of “okay”) and every slurped over-palatalization of some word, Malkovich sounds more and more like a man who got bored halfway through Russian accent training and said to his coach, “I’ll take it from here.” Don’t get me wrong, it’s a highly entertaining, albeit excruciating, watch – at least, you’d never expect a Hollywood Russian accent impersonation to come out sounding like Slavoj Zizek, would you? Watch it, by all means, just make sure you mentally prepare yourself: the cringe factor is very high.